With over 30 years’ experience, Keytrak specialise in supplying, installing, and maintaining a wide range of high quality security products and systems, including state of the art biometric security systems. As an ISO 9002 accredited company and members of the Master Locksmiths Association, you can rest assured that when you choose Keytrak for your security needs, you will be choosing a trusted and reliable provider who will be on hand as and when you need us. Security Grilles fitted to your windows and doors will provide your building with a strong additional layer of protection against determined burglary attempts. For a reliable and professional locksmith in your area, look no further than Keytrak, as member of the Master Locksmith Association, we provide 24/7 day mobile locksmith service to commercial and domestic customers. Keep your premises, assets and personnel safe and secure at all times with a Stand-Alone or PC Based networked access control system from Keytrak. If you find yourself carrying dozens of keys around or you repeatedly misplace keys due to a lack of organisation, you may be in need of a master key system. Find out more about how Keytrak can help plan, install and future proof a master key system for your specific needs here. Keytrak supply biometric access systems which are user friendly, easy to install and which provide you with an optimum level of security at your fingertips. Keytrak install a range of industry leading building entry systems. From commercial properties and residential blocks, to public sector facilities such as health care centres, we have the system for you. 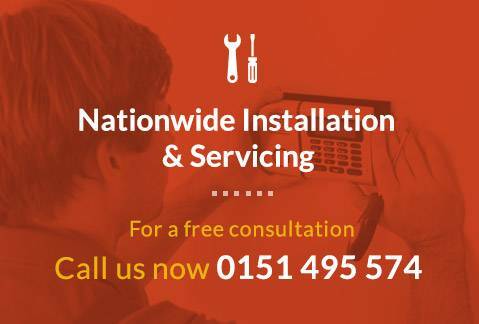 We install, repair and provide maintenance checks for a wide range of door entry systems. Keep your property safe and secure with industry leading door entry systems from Keytrak. Perfectly suited to residential blocks, small organisations and small commercial spaces, audio door entry systems allow you to identify visitors instantly without having to open the door. Stay in control with video door entry systems from Keytrak; we specialise in supplying, installing and repairing video entry systems for both commercial and domestic properties. The ACT 10 keypad is a versatile security system which provides property owners and home owners with total control over who enters their property – find out more about why you should choose the ACT 10 keypad from Keytrak here. If you’re in need of a locksmith in Warrington, Keytrak is a name that you can trust completely to deliver a fast, professional and cost effective service. For a highly competitively priced locksmith in Widnes, look no further than Keytrak, the lock and key specialists. For over 30 years, Keytrak have been the go to locksmith in Manchester, providing businesses and residents across the city with scheduled and emergency locksmith call outs. No matter where you are in Liverpool, our locksmiths are on hand to assist you 24 hours a day, 7 days a week, all at a competitive price. Reduce the number of keys you need to carry and benefit from trouble free administration of locks and keys with the help of one of our tailored master key systems in Warrington.